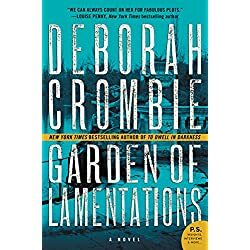 Thriller, Suspense, Mystery, Contemporary Fiction, Fantasy, Nonfiction, Science Fiction, Romance… today’s featured books have a little something for everyone! On a beautiful morning in mid-May, the body of a young woman is found in one of Notting Hill’s private gardens. To passersby, the pretty girl in the white dress looks as if she’s sleeping. But Reagan Keating has been murdered, and the lead detective, DI Kerry Boatman, turns to Gemma James for help. 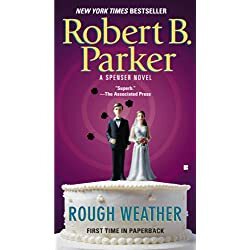 A high society wedding ends unhappily ever after in this mystery starring Boston PI Spenser—“the timeless hero of American detective fiction” (The New York Times Book Review). Cobb, a devoted teacher and nature-lover, takes a sabbatical from his New England boys prep school seeking to experience what Henry David Thoreau and the transcendentalists did in the early nineteenth century. Kayaking to the last known spot where the American writer and philosopher camped four years before he died, he encounters the beautiful free-spirited Mary. Also a teacher, avid bird-watcher, and deft adventurist, Mary is flirtatious and beguiling, and the two soon become inseparable. Mary is like no one Cobb has ever met before, but he gets the feeling that she is harboring a secret. Eventually she shares her fears with Cobb—that she may be carrying the gene for a devastating, incurable illness that runs in her family. Finding strength in their commitment to one another, the two embark on a journey that is filled with joy, anguish, hope, and most importantly, unending love. 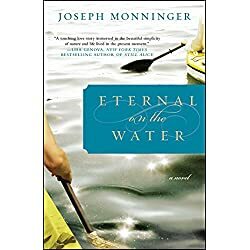 Set against the sweeping natural backdrops of Maine’s rugged backcountry, the exotic islands of Indonesia, scenic Yellowstone National Park, and rural New England, Eternal on the Water is a timeless and poignant love story that will captivate readers everywhere. One morning, a former CIA agent is shot to death in the street. That night, an army vet is gunned down in his doorway. The next day, John Wells gets a phone call. Come to Langley. Now. The victims were part of an interrogation team that operated out of a secret base in Poland called the Midnight House, where they worked over the toughest jihadis, extracting information by any means necessary. Now Wells must find out who is killing them. 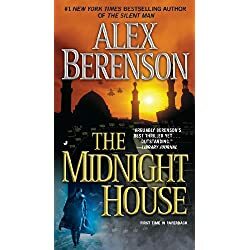 Islamic terrorists are the likeliest suspects, and Wells is uniquely qualified to go undercover and find them. But the trail of blood leads him to a place he couldn’t have imagined: Home. 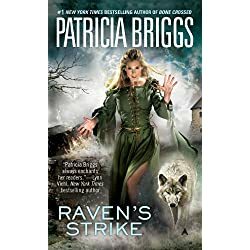 Seraph must use all her skills as a Raven mage to stop the force of destruction known as the Shadowed in the second novel in this thrilling fantasy series. Seraph is among the last of the Travelers, those who strive to destroy the dark magic released by their ancestors’ mistakes. Seraph tried to escape her people’s duty and live a quiet life, until evil found her…and her family. A cunning new force for darkness called the Shadowed stalks the land, feeding on death, destruction, and the sleeping Stalker’s power. He plans to wake the Stalker, wreaking untold havoc, but he needs those who bear the Travelers’ magic to release the dark god…and he has his sights set on Seraph and her family. Fight food addiction and overeating with fitness guides, recipes, and meal plans from renowned physician Pam Peeke. 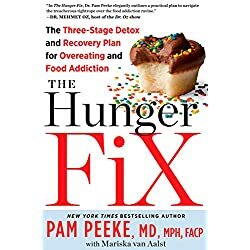 In The Hunger Fix, Dr. Pam Peeke uses the latest neuroscience to explain how unhealthy food and behavioral "fixes" have gotten us ensnared in a vicious cycle of overeating and addiction. She even shows that dopamine rushes in the body work exactly the same way with food as with cocaine. Luckily, we are all capable of rewiring, and the very same dopamine-driven system can be used to reward us for healthful, exciting, and fulfilling activities. The Hunger Fix lays out a science-based, three-stage plan to break the addiction to false fixes and replace them with healthier actions. Fitness guides, meal plans, and recipes are constructed to bolster the growth of new neurons and stimulate the body’s reward system. Gradually, healthy fixes like meditating, going for a run, laughing, and learning a new language will replace the junk food, couch time, and other bad habits that leave us unhappy and overweight. Packed with practical tips, useful advice, and plenty of wit, wisdom, and inspiring stories of those who have successfully transformed their bodies, The Hunger Fix is a life-changing program for anyone (of any size) trapped by food obsession and the urge to overeat. Have you met Henry Maddox? He knows you – not personally of course. But he does know everything about you. So much so that he can not only sell you anything, he can even alter your behavior to sell you things that you didn’t even know you wanted. How you ask? Welcome to the world of Big Data, Corporate Propaganda, and Market Fragmentation. But when Henry is forced to face how his techniques affect real people, he realizes he has inadvertently given corporations the power to destroy society for their own ends. 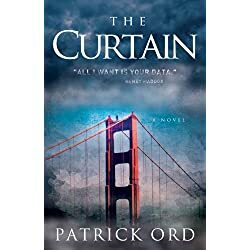 The Curtain explores the effect that increasingly sophisticated data manipulation has on our communities, families, and daily lives. In an age of digital distractions, who remembers the transcendent morality that has made past civilizations prosper? When corporations have the technology and motive to pull people apart, what keeps us together? 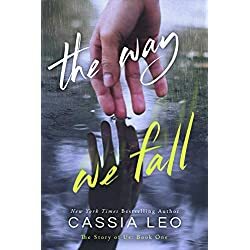 From New York Times bestselling author Cassia Leo comes a twisted and passionate romance of forbidden love, family secrets, and overcoming loss. Aurora “Rory” Charles has loved her best friend’s brother, Houston Cavanaugh, since she was eleven years old. But her friendship with Hallie Cavanaugh meant too much to her to risk taking a chance with Houston. Until one snowy afternoon, Houston and Rory find themselves thrust together by the shock of Hallie’s death. 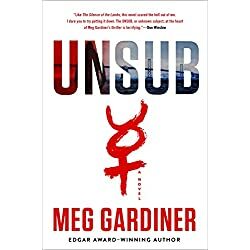 Their grief will catapult them into a passionate and toxic relationship, which will test the boundaries of their loyalty to each other and to Hallie’s memory, ultimately, leaving them in ruins. Five years after their messy breakup, Houston and Rory are forced to work together opening a new wine bar. Despite their tragic past, they find themselves once again drawn to each other, unable to deny their potent attraction. But the secret of the letter hangs like a guillotine over their heads. 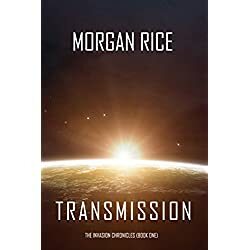 And soon, Houston finds himself at a crossroads, once again choosing between the secret of Hallie’s letter and the only girl he’s ever truly loved.